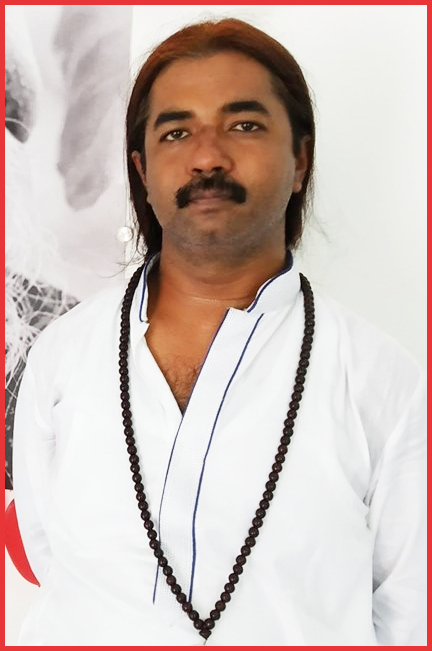 This is another unique concept of Vedic Astrology, which makes it real fun. So, all these houses are given one or the other portfolio but it is mind-boggling if we realise that there was a reason why a particular house was given a specific portfolio, like why 2nd house is house of family and wealth and not 5th house or why 9th house is house of religion and faith and not 11th house? Every calculation was done so perfectly that once you understand it, you will be in complete dismay. 4th house is house of mother and 7th house becomes the house of grandmother (Mother's Mother). Why? Because 7th house is 4th from the 4th house. So, if you start counting from 4th house and reach 7th house, you will have 4 houses in between, so it is 4th from 4th house, so it is house of Mother's Mother. So, from 7th house (which is normally of marriage and spouse), you can also see your relations with your grandmother. Likewise, 4th house is Mother and 10th house is father. So, 10th from 4th house will be Mother's Father and 4th from 10th house will be Father's Mother, both ways we will reach 1st house/Ascendant. It is all calculation, mathematics nothing else. Where to see your Father's Father? It is 10th from the 10th house, i.e. 7th house. Another one and this is awesome. 2nd house is wealth and family, 9th house is religion and spirituality and 6th house is Obstacle and enemy. Now, if we start counting from 9th house and reach 2nd house, then there are 6 houses in between. This means, for your desire of spiritual attainment (9th house), your desire of having family and wealth (2nd house) becomes an obstacle, which is quite true. We can see it from reverse direction too. Start counting from 2nd house and reach 9th house, there are 8 houses in between. What is 8th house? It is house of Death. So, it means, if you leave your family (2nd house) behind and go to the path of spirituality (9th house), it is like death of responsibility of family. Again, 5th house is Children, 7th house is Marriage and 11th house is Gains. Now, if you start counting from 7th house and reach 5th house, then there are 11 houses in between. It means your children (5th house) are actually the gain (11th house) of your marriage (7th house). Same logic, 5th house is love and romance, 7th house is marriage. So, your love should be the gain of marriage. 7th house is Marriage, 6th house is disputes and 12th house is losses. Now, start counting from 7th house and reach 6th house, there are all 12 houses in between, right? So, it means, if you get into disputes (6th house), it will end up as loss (12th house) of marriage (7th house). 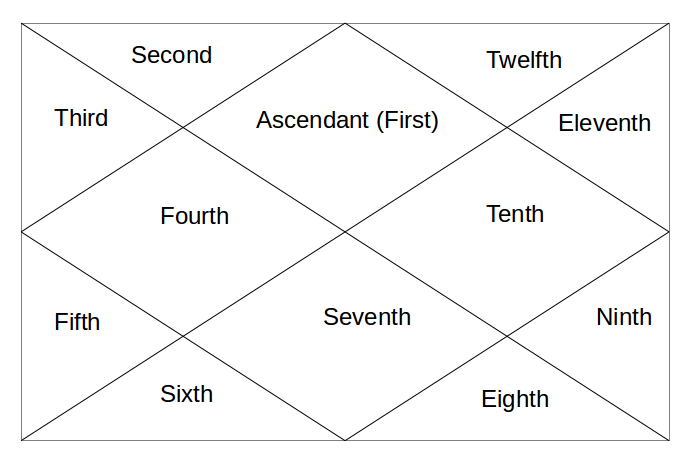 Try one more, 11th house is Gains, 9th house is Spirituality and 9th house is 11th from 11th house. It means that real higher gains (11th house) in life are actually Spiritual Gains (9th house). Another thing is that you can pick any house and make it ascendant by rotating the whole chart and you can see different aspects of that house. Like, just take 4th house of mother and make it Ascendant, the whole chart will rotate accordingly, right? So, now, see the every aspect of your Mother's life. Likewise, make 3rd house as Ascendant and see the life of your younger sibling. If you have 2 younger sibling, then 3rd house is 1st younger sibling and 5th house is 2nd younger sibling. Why 5th house?? Because 5th house is 3rd from 3rd house, so it becomes house of younger sibling of your younger sibling. Likewise, 1st child is 5th house, 2nd child is 9th house as it is 5th from 5th house, 3rd child will be 1st house/Ascendant as it is 5th from 9th house. Make 5th house as Ascendant and you will see the life of your 1st child. Same way, 7th house is spouse, make it Ascendant and rotate the whole chart accordingly and see the life of your spouse. 9th house is your father's teachings and 10th house is your father. Similarly, 3rd house is teachings of your Father-in-law and 4th house is your Father-in-law because 3rd house (teachings of your Father-in-law) is 9th (teachings of father) from 7th house (Spouse) and 4th house (Father-in-law) is 10th (Father) from 7th house (Spouse). Like this, a horoscope can be seen in 144 ways (12 X 12 houses). I hope it was interesting. @ VP - 3rd house as it is 6th from 10th house. Sir father physical condition /health represent which house?